Lobelia inflata is an herb found in the southeastern part of Canada and the eastern half of the United States, with the exception of Florida. The said herb is known to be very effective in treating various ailments. Several studies have already proven the herbal plant’s efficacy in treating diseases like asthma, bronchitis, congestion, whooping cough and different types of allergies. The lobelia plant has delicate, little flowers that are light blue with a hint of yellow in color. Although the flowers of the lobelia plant does have some medicinal qualities, the seeds are the ones most commonly used for making herbal remedies. This is due to the fact that the lobelia plant’s seeds are a potent source of lobeline, a beneficial piperidine alkaloid. The lobelia plant was named after the 17th century botanist named Mathias l’Obel, whose contributions in the field of botany is still highly regarded up to this day. Lobelia is sometimes referred to in different names, for instance, some people call it Indian Tobacco because it contains chemicals that are similar to nicotine, and also because Native Americans used to smoke it in lieu of actual tobacco. There are other, not-so-flattering terms used to describe the lobelia plant; names like asthma weed, pukeweed, gagroot, vomitwort, and bladderpod. Expertly extracted for support of the musculoskeletal system. Prepared from the certified organic herb and mature seed of Lobelia inflata plants. Because lobeline (the active ingredient in lobelia seeds), or lobinaline in Lobelia cardinalis, has a similar chemical composition as nicotine, medical professionals believe that it can make for an excellent smoking cessation supplement. Whenever the person feels the urge to smoke, he can use lobelia seed (preferably in tea form) to ease his cravings. 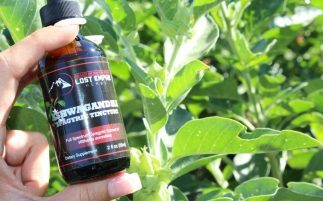 After a while of taking lobelia seed supplements, it can actually make tobacco taste weird and unpalatable, thus making it easier to quit the habit of smoking. Another benefit of lobelia is that it can ease the effects of panic and anxiety attacks. Small and frequent doses of lobelia can produce a calming effect on the patient, and it can even be used during the panic attacks as well. Lobelia is one of the many medicinal herbs that have more than a dozen uses. Although the FDA did ban the use of lobelia supplements for a brief time in the past, it was lifted afterwards and they now praise the herb as one of the most effective natural smoking remedies out there. 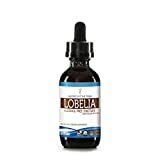 If you want to try out lobelia for yourself, consult your physician first to make sure that it is safe for you to use the herb and so you can get advice on proper dosage. Supplements come in the form of tincture, tea, capsules and dried extract powder. To suggest that one should “consult a physician first” is beyond stupid, because 99% of doctors have never heard of this plant, much less know anything about it!! > probably best left to those experienced with it. action, like more than I can do myself, like I need to see a practitioner. have been quite curious about it. For seizures or asthma. I don’t know. Thanks for sharing. I will have to remember that story. thought it was wonderful. I am aware not to give it if someone has HBP.